I started, and completed today, a portrait I had been meaning to do for a while. Anita Sarkeesian’s “Feminist Frequency” videos have really opened my eyes to the ways that tropes in media hurt women. Her videos make it easy to see what’s wrong in our everyday media, and I hope she keeps making them for years to come. 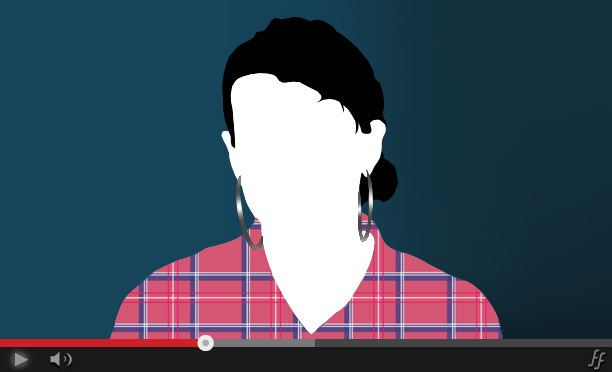 I mimicked the YouTube player using Adobe Photoshop and Illustrator, and the plaid shirt pattern that Anita was wearing during her Damsel in Distress in Video Games video. Both were fun, difficult, and rewarding challenges. The white skin and black hair style is something I’ve gotten the hang of, as I’ve been doing that since, 2008 or earlier. I also nailed the background color gradient, though that only required a base level understanding of gradient mesh. I’d love for her to see this, but that seems like a long shot. May the Feminism be Frequent.